What happens when our ‘bravest’ turn out to be bigots? Are they still heroes? Ginger Adams Otis has written a spellbinding history of the long and relentless struggle to tear down the Fire Department of New York’s unwritten color bar. 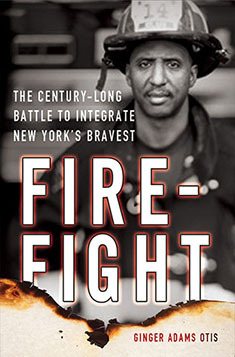 Written with grace and wit, Firefight tells the story of the most extraordinary black men who were the first to take on the FDNY, and in so doing she reminds us what it means to be a hero.